On 5 FEB 16 NEC-SE CEO was interviewed by Breitbart News about Syrian peace talks and partitioning, the Kurdistan Regional Government (KRG) land desires, and the future of Assyrians (the root of Christianity) in Iraq and Syria. NEC-SE was asked to comment on one of Mr. Brett McGurks statements. As reported by Breitbart News, Mr. Brett McGurk, Special Presidential Envoy for the Global Coalition to Counter ISIL, was quoted by Rudaw News as saying that he is including Christians in the talks to grant more local autonomy to the Kurds in Iraq. Calling the ISIS massacre of Yezidi genocide is sensible and humane, but troubling for two reasons: Expectations for what this will achieve wildly overstate what the law can do; and the grim apotheosis of genocide actually debases our willingness to act in the shadow of evil. For the longest time the NEC-SE has looked at the open source link analysis to see why the Obama Administration was more interested in recognizing the Yazidi-and not the Assyrian-genocide. It now seems clear — They are doing so in order to keep the KRG from failing financially, more than doing so for the need to save the Yazidis and Assyrians who have been destroyed by ISIS. 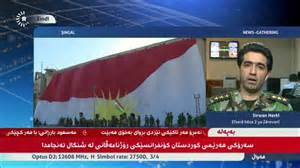 KRG has had financial issues, which finally exploded into protests across multiple provinces and cities of the KRG starting last week. The riots were part of the larger issues afflicting the KRG — corruption, financial inability to pay the civil servants, and President Masoud Barzani’s reluctance to step down although his term has already expired. Given that the Kurds’ claim the Yazidis to be Kurdish, rather than recognizing them as a distinct ethnicity, which is religiously and culturally different than Kurds, the genocide recognition will now allow the KRG lobby group and the current administration to say that there was genocide against the Kurds. 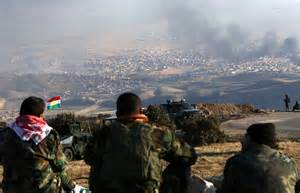 This in turn will open up global financial coffers which will allow KRG to quell its internal uprisings, it will also allow them to crush their opposition by buying their loyalties, and will allow the KRG to take over the lands of the Yazidis and Assyrians in order to establish a larger Kurdistan. Currently Assyrian and Yazidi militias that are forced to work under the ranks of the KRG will be used to defuse global powers protests over the KRG actions. It should be noted that Yazidis do not claim to be Kurdish but the Kurds claim them to be kurds.